​Flutist Izumi Miyahara is a freelance artist and educator based in Houston, Texas. She holds the Assistant Principal Flute/Piccolo position with the Symphony of Southeast Texas in Beaumont, TX, and the Piccolo/Third Flute chair with the Corpus Christi Symphony Orchestra. She has performed with the Houston Symphony Orchestra, San Antonio Symphony Orchestra, the Houston Grand Opera and Ballet Orchestras, Louisiana Philharmonic Orchestra, New World Symphony, Breckenridge Music Festival Orchestra, and as guest principal flutist with the Fort Worth Symphony Orchestra. She has worked with renowned conductors such as Sir Neville Marriner, Michael Tilson Thomas, Hans Graf and Paavo Jarvi, among others. Internationally, Izumi has performed in Alcala de Heneres and Madrid, Spain as well as in Lucca, Italy. As a passionate advocate of chamber music and community engagement, Izumi is co-founder of the flute and harp duo, inFLUX. inFLUX brings innovative and progressive concerts into the community and has created artistic partnerships with organizations such as New Hope Housing, Sheltering Arms Senior Services, Daniel Pearl World Music Days, The Methodist Hospital Crane Garden Recital Series, and Holocaust Museum Houston. As the winner of the 2007 Albuquerque Flute Association Frank Bowen Competition, Izumi performed the Nielsen Flute Concerto with the Santa Fe Symphony in December 2007. Her 2009 solo recital in Houston was broadcast nationwide on National Public Radio’s Performance Today program. Her orchestral performances have been broadcast on KUHF and KTRU in Houston and WQXR in New York City. She has performed with members of the Cincinnati Symphony Orchestra as part of their Concert:Nova chamber music series. Izumi was a semi-finalist in the 2010 Piccolo Artist Competition sponsored by the National Flute Association, first place winner of the 2005 Central Ohio Flute Association Competition in Columbus, OH, the recipient of the 2004 Ira Gershwin Award in Orchestral Performance from the ASCAP Foundation in New York, and a top prize‐winner in the Cincinnati Flute Symposium’s flute competition in 2006 and 2008. Her summer festival appearances include the National Repertory Orchestra in Breckenridge, CO, the National Orchestral Institute in College Park, MD, and the Banff Summer Arts Festival in Canada. She has also performed extensively with Cincinnati’s Music X and Grandin Vocal Chamber Music Festivals from 2005 to 2008. 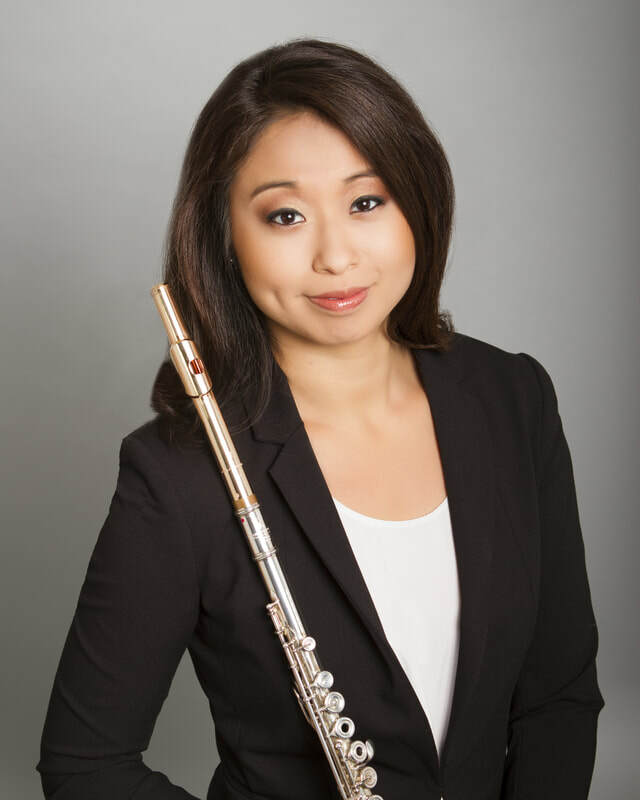 As an educator, Izumi maintains a private flute studio and coaches clinics and masterclasses in Houston for American Festival of the Arts, Houston Youth Symphony and Houston Flute Fest. In addition to her musical activities, she is a 200 RYT certified yoga instructor in the Pralaya Yoga System. A native of New York City and a graduate of the Juilliard School Pre-College Program, Izumi holds a Bachelor of Music from the University of Cincinnati College-Conservatory of Music, and a Master of Music from Rice University. Her primary teachers include Randy Bowman, Leone Buyse, and Robert Boustany.